Temperature controller with three relay outputs for freezer or chiller applications. 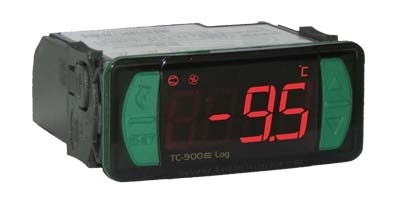 This controller is a state-of-the-art low temperature controller loaded with enhanced energy saving and safety features. It is equipped with three relay outputs and two temperature sensors. A third temperature sensor can be installed on digital input-1 for condenser temperature control or defrost control on a second evaporator. The two digital inputs can be programmed to auto activate economic set point, initiate defrost, fast freezing mode, pressure or door alarms. 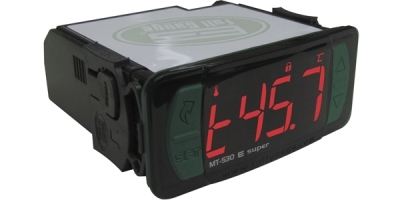 Have an internal real-time clock to create a defrost schedule for each day of the week and an internal memory for data storage (datalogger), which allows recording the measured temperature and the control output status at user-determined intervals. 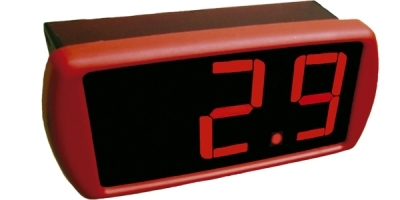 It is also provided with internal auxiliary source to keep clock synchronization during power outage.